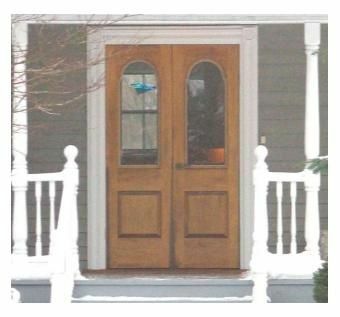 The Combination Storm Door followed in the footsteps of the Victorian screen door but preceded the modern aluminum door. They are 1-3/8" thick and have two separate frames, one for glass & one for screen. The frames interchange by turning wooden turnbuckles on the inside of the door. 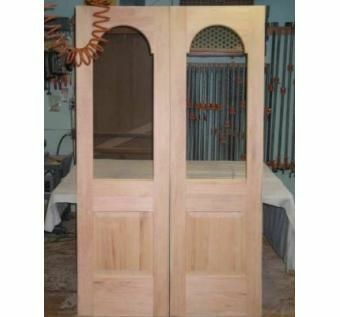 This pair features 1/4 sawn stiles for stability & West system marine adhesive. All exterior horizontal edges are sloped to 10 degrees (more off the ducks back). 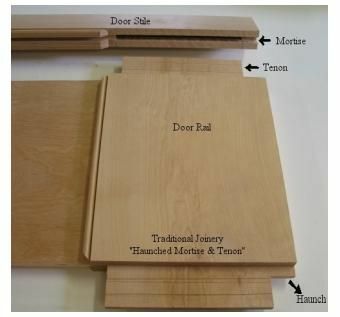 These great traditional ideas in wooden doors are not original. I'm not that old. You just have to look close at some of the old examples still present today thanks to proper maintenance.